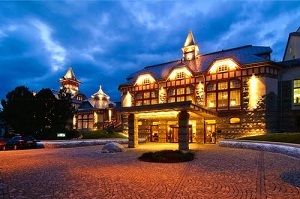 Permon Grand Hotel is located in a small mountain village Podbanská – High Tatras, overlooked by the Tatra peak Kriváň. The hotel has 10 rooms available in various sizes to organize both conferences, as well as symposia, workshops, seminars, workshops and business meetings. Hotel provides comprehensive hardware and snacks according to client requirements. Hotel The Grand Hotel Bellevue is located in the High Tatras – in Horný Smokovec – at an altitude of 1,010 meters at the foot of Slavkovský peak, the place called nice view. With 140 rooms, congress hall, flexible lounges, wellness center and sports facilities Grand Hotel Bellevue is an ideal place for business meetings and corporate events. The hotel provides conference services with complete technical and service facilities for all kinds of events up to 600-650 people. 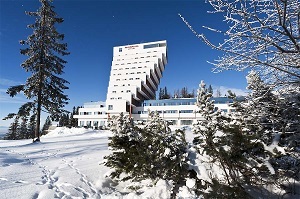 Hotel Panorama Resort is a new, modern apartment hotel, situated at an altitude of 1,300 meters above sea level, beautiful surroundings Štrbské Pleso. Its location provides spectacular views of the High and Low Tatras. 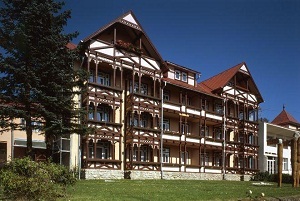 The hotel is located in one of the centers of the High Tatras – Tatranska Lomnica. Since 1905 he writes Grandhotel Praha its sumptuous Tatra history. 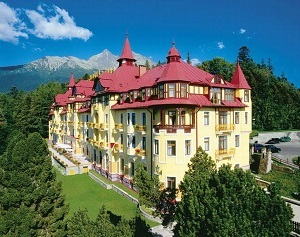 Built in wonderful Art Nouveau style, which transports you to the fabulous times Tatras. Grandhotel Praha offers accommodation in 106 rooms and 19 suites. In 2012, some of the rooms and suites have undergone renovation and for lovers of luxury and style are a perfect holiday destination. 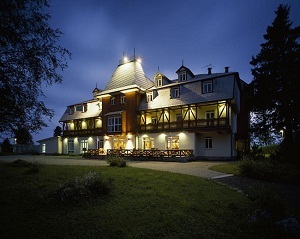 The hotel is located in the heart of the High Tatras, with a unique atmosphere of friendship and family harmony. Hotel Slovan is a great place for families and for businesses. It offers comfortable accommodation, excellent cuisine, relax center and five meeting rooms. The hotel has a total capacity of 259 beds. Facilities offer opportunities for active recreation and pleasant relaxation. 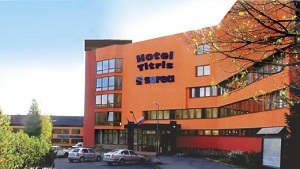 SOREA TITRIS Hotel *** is situated in a quiet area near the center of the Tatranská Lomnica, one of the largest Tatra settlements known as the social and cultural center of the High Tatras. Located near the Botanical Gardens with exposure Tatra nature and Museum of the Tatra National Park. The hotel offers accommodation in comfortably furnished apartments, single and double rooms with extra beds. 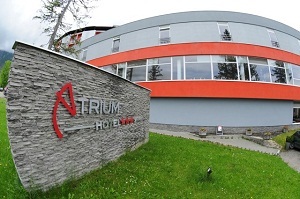 Atrium Hotel is situated in the beautiful surroundings of Tatra nature in Nový Smokovec at the foot of Slavkovsky peak. During the winter, only 50 meters from the hotel is one of the oldest ski slopes Jakubková meadow. Its equipment and service offering is ideal for spending holidays for families with children as well as for conferences, seminars and workshops for business clients. The hotel offers comfortable accommodation in 90 rooms. 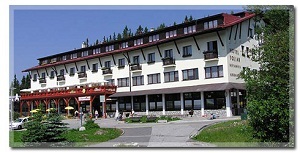 Toliar hotel is located in the beautiful surroundings of the High Tatras, in the tourist center Pleso. 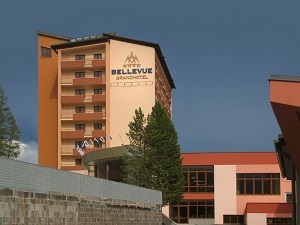 The hotel is suitable for individual or family holidays, training holidays, business meetings, spa and ski stays. Accommodation capacity: 142 beds, 7 double rooms, 48 double rooms with extra beds, 6 family rooms, 7 studies. Grand Hotel Kempinski High Tatras is an oasis of luxury on the banks of Štrbské Pleso overlooking the majestic panorama of the Tatra peaks. It is accessible by car, rail, or air. Luxury limousine, helicopter and private air transport is also available from Bratislava, Poprad, Košice, Krakow and Vienna. Spa Nový Smokovec among the most climatic spa in Slovakia. Are located in the Tatra National Park (TANAP), under Slavkovský Peak, at an altitude of 1018 meters above sea level Basics of spas in Smokovce already laid in 1797 by Count Csáky and new modern climatic spa in itself Nový Smokovec opened in 1876, MD. Nicholas Szontagh. 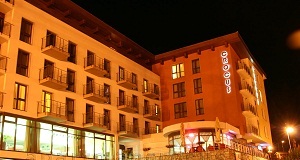 Modern Crocus Hotel is located in the center of Štrbské Pleso between central car park and the railway station. Hotel offers high standard accommodation in 60 comfortable apartments for individuals, families and corporate clients. They include a TV-SAT, free internet access, safe, telephone, a fireplace, a kitchenette and a separate closet. The average size is 50 m2 apartments are very spacious and comfortable. The new four-star wellness hotel in Pine beautiful High Tatras Pleso is the perfect combination of rest, relaxation and high comfort with unique atmosphere. The hotel offers accommodation in 50 luxuriously furnished rooms, including 11 suites.